The landmass of Alrest is made up of living beings called titans that fly around the cloud sea, each with their own cultures and unique ecosystems. Rex begins his journey salvaging beneath the sea for treasure, but soon crosses paths with a girl called Pyra, and the two decide to head for the mythical Elysium - humanity’s paradise that rests atop the World Tree, right at the centre of the Alrest. Sadly, the titans are dying out and submerging beneath the sea, putting the nations of the world at odds over territory and resources. Many now seek the Aegis, a Blade of almighty power, for purposes both noble and greedy in this time of desperation. Blades are living weapons that are bonded to human Drivers, and Pyra happens to be the legendary Aegis who is now bonded to Rex. 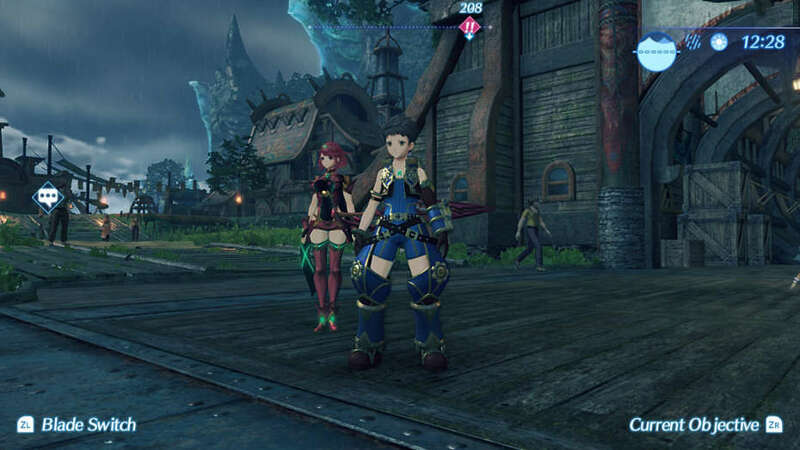 For our protagonists, this means being pursued by many powerful foes in the epic adventure that is Xenoblade Chronicles 2. Battle mechanics are deeply layered and intricately intertwined. You play a member of a party with up to 3 Drivers, all of which have up to 3 Blades to switch between at a time. This might seem a bit daunting - but don’t worry, everything is introduced in a friendly and consumable way so that you can work your way up to being a master of the Arts (your moves). Combing every aspect of the combat system won’t be easy, but if you can, it will be immensely satisfying to fell your enemies in clean sweeps of massive damage. When you’re not engaged in combat, you’ll probably be exploring the vast expanses of the titans. Whether out on one of many sidequests, on your way to Elysium or are just exploring for the sake of it, the world of Alrest is packed with content and secrets just begging to be discovered. Also, an absolutely stellar soundtrack is present both on and off the the field that compliments what's going to give even more immersion. And if you're a fan of variety in your voice acting, you'll be pleased to know nearly all of the main cast and cultures adopt Scottish, Welsh and a range of English dialects from across the country with some others being Australian and American. If you're big on story and content heavy RPGs or exploring large worlds but don't mind a bit of complexity, then Xenoblade Chronicles 2 will be a welcome addition to your Switch library. Xenoblade Chronicles 2 is available to purchase now on the Nintendo E-shop and Participating retailers!